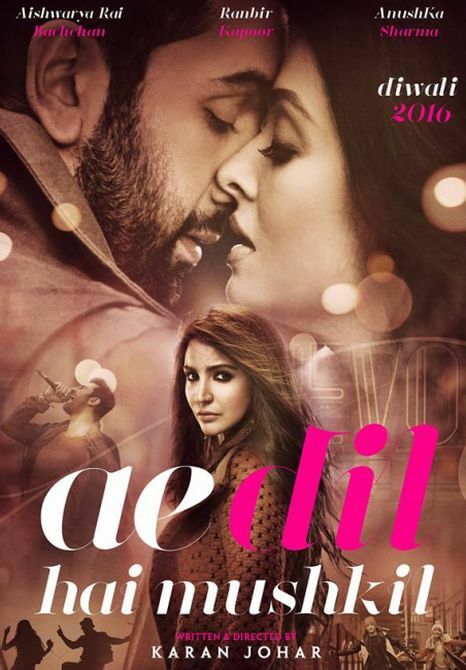 The Indian Motion Picture Producers Association on Thursday met Maharashtra Navnirman Sena officials asking them to allow the release of Karan Johar's "Ae Dil Hai Mushkil" and Shah Rukh Khan starrer "Raaes", both starring Pakistani actors, in Maharashtra but the Raj Thackeray-led party has refused to budge from its stand. IMPPA officials had a closed door meeting with Shalini Thackeray, working president of Maharashtra Navnirman Chitrapat Karmachari Sena, to discuss the issue of release of "Ae Dil Hai Mushkil" that hits cinema houses on October 28. "We met Shalini Thackeray... we told her to allow the release of these ('Ae Dil Hai Mushkil', 'Raaes', 'Dear Zindagi') films as Indian producers have invested their money in these projects. If films don't release, it will be loss to Indian producers," T P Aggarwal, President, IMPPA told PTI. "Pakistani actors have worked, taken money and left. As a body, it's our duty to help our producers," he said. Aggarwal said that the MNS has not given a positive feedback on the demands of IMPPA. "They (MNS) are saying they will stick to their stand. We will meet again and try to sort out the matter," he added. However, the IMPPA and the MNS have agreed on requesting the government to not give visa to Pakistani artistes. "We completely agree with the stand of IMPPA of requesting the government to not allow Pakistani actors get visa because the question is of a larger issue today," Shalini told PTI. "This is no longer an issue about what we are thinking, but what people want. They are against the idea of watching a film which has Pakistani artistes, considering the situation in the country now. We will not go against the sentiments of the people and are firm on our stand of opposing the release of these films," she said. On the talk that the films should be released as Indian producers' money is involved, Shalini claimed that many people from Bollywood are also opposing the idea of Pakistani actors working here and the issue has become "larger than what it was earlier". IMPPA has also written a letter to Raj Thackeray and Uddhav Thackeray appealing them to protect the film industry from losses by not obstructing the release of ready and under production films and entertainment programmes. The body has even urged Prime Minister Narendra Modi to bar work permit of Pakistan artists till the problem between the two countries is resolved. "It's our ardent request to the government of India to bar the work permit of all Pakistani artistes working in different departments of the film and music industry. Not only as entertainment professionals but also as Indians we are immensely hurt by the rude behaviour of Pakistani artistes related to Pakistani terrorism on Indian soil," Aggarwal said in a statement. "This will send a strong message not only across the border but also pan India that when it comes to the dignity and sovereignty of our country, we Indians stand united in our resolve to safeguard it," he said. Aggarwal hopes the government will consider the demand of IMPPA. In the wake of recent Uri attack, which killed 19 soldiers, there has been a hullabaloo over Pakistani artistes working in the Hindi film industry. "We are immensely grateful of our brave soldiers who are fighting valiantly on our borders we the members of the entertainment industry are very keen on showing our solidarity with our soldiers," Aggarwal said. "So IMPPA have taken a strong stand to boycott Pakistani actors, artists, singers and technicians from working in Indian film and music industry till a resolution to the ongoing unrest on our borders is made," he said. The MNS had issued a 48-hour ultimatum to Pakistani artistes and actors including Fawad Khan, Mahira Khan and Ali Zafar, to leave India by September 25 or else they would be "pushed out". However, no Pakistani artistes were in India that time. "Ae Dil Hai Mushkil" stars Fawad Khan in a special appearance while "Raees" sees the Bollywood debut of Pakistani actress Mahira Khan opposite Shah Rukh. "Dear Zindagi" features Ali Zafar opposite Alia Bhatt, along with Angad Bedi, Aditya Roy Kapur and others. The film has been produced by Karan Johar and also features SRK in a guest appearance. Apparently the concerts of Pakistani singers Shafqat Amanat Ali and Atif Aslam scheduled in Bengaluru and Gurgaon respectively were also cancelled.